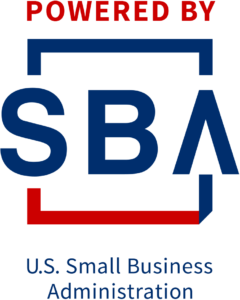 The Women Owned Small Business (WOSB) program is designed to help more women owned small businesses to win federal contracts by providing a level playing field for WOSBs to compete. The Women Owned Small Business (WOSB) program is designed to help more women owned small businesses to win federal contracts by providing a level playing field for WOSBs to compete. This class provides an overview of the WOSB and EDWOSB Federal Contracting Program as well as eligibility requirements. All small businesses that are interested in submitting an offer on a solicitation that has been set aside for WOSBs under the WOSB Program must complete this certification prior to submitting the offer. This class also covers recent regulatory changes regarding sole source authority and self-certification. Mark your calendars and join us for the biggest and best TRIZ Conference in North and South America. Come and renew old acquaintances and make some new friends. We anticipate presenters and attendees from over 10 countries. Join the fun and excitement while learning valuable tools and techniques to accelerate your innovation and problem solving. TRIZCON2019 will be May 20-22. These three days will be packed with Keynote Speakers from around the world, TRIZ case studies, Topical discussions and opportunities for creating new friends and colleagues. Spotting new market opportunities is key to business growth. We’ll cover some ways you can stay on top of business trends, whether it’s growing your current business or starting a new one. 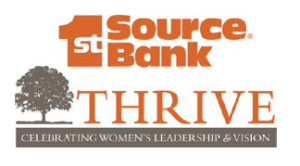 Julie Kratz of Pivot Point will be leading this workshop. She is a highly-acclaimed leadership trainer who led teams and produced results in corporate America. After experiencing her own career “pivot point,” she developed a process for women leaders to build winning plans. In this highly collaborative talk, Julie will share stories, ideas, and research from her book, ONE: How Male Allies Support Women for Gender Equality, with four proven strategies for men and women to succeed together. Leaders that partner together do these things well – they practice empathy, listen, speak up, and integrate work and life. This is an invite only event. Please contact Suzie Haga at shaga@niic.net for more details. During this popular Caffeinated Conversations event, you will connect with business professionals who can help you establish and grow your business. You will speak with Attorneys, CPA’s and Marketing Consultants in a speed networking format. Come armed with your elevator pitch and questions to make the most of your time with these specialists donating their time. Our co-sponsor for this event is SCORE Northeast Indiana. Check back soon for registration information! The little comments made by those closest to you. The blatant questioning from complete strangers. The moments when you are at your lowest in this business building journey. The lack of people who jump for joy with you when you achieve a milestone. All this takes an effect on your confidence in your business and yourself. By creating a strategic circle of support, you will achieve more than you have yet dreamed.